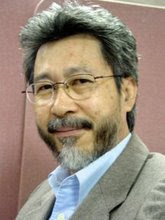 My ex colleague Edmond Tay who left SQ after me is now macham(aka) professor. When he was with SQ his beard was frowned upon by his yaya bosses. They didn't like him wearing his beard simply because they could'nt grow one..haha. Edmond was so fed up with his superiors' attitude (can be petty sometimes)plus blah blah that he asked for early retirement. His bosses can't wait a moment longer and swiftly gave him a small ang pow and booted him. Looking back, Edmond does not regret leaving the airline. In fact he better himself by getting a MSocSc in Professional Counselling (Swinburne University) and also Reality Therapy Certification (William Glasser Institute).